If you are starting a new business, expanding your company, or relocating your operation to Richmond, RE/MAX Commercial Advantage is here to help make your transition smoother with our real estate expertise and individualized services. And with the goal of being the most appealing, livable, and well-managed community in Canada, Richmond holds promise for business opportunities now and into the future. With a vibrant city centre, connected neighbourhoods, and proactive sustainability plan, the business atmosphere balances growth with environmental friendliness. Economic development is one of Richmond’s top priorities, and the city offers the competitive advantages of land, sea and air connections from many other West Coast locations. If you are looking for a commercial lease in Richmond, the real estate experts at RE/MAX Commercial Advantage welcome you to our city and office. Why Choose a Commercial Lease in Richmond? If you’re ready to set up shop in our thriving community, you have a choice of purchasing your own office, retail or manufacturing property. But are you ready to take on that responsibility or expense at this stage in your business development? If not, let one of our brokers work with you to find the right commercial lease in Richmond that fits your business and budget. 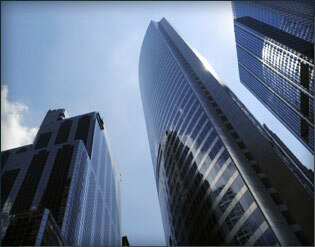 Owning commercial real estate has both benefits and risks. Owning your property can build equity, and you will have more control over how you use or renovate your property. You may also have opportunities to expand your operation or rent out space you don’t use. Lower upfront costs: You don’t have to make the substantial down payment and closing costs that a real estate purchase entails. If you lease your business space, at least initially, you pay a security deposit and any required fees. The lower cost of a lease gives you more capital to invest in your business, a must for entrepreneurs who are their own bosses and backers. Options and variety: You usually have a wider selection of commercial spaces for rent than for purchase with more options as to location, space and design. A lease also gives you the option to renew or not. If you are ready to expand, then you will be ready to move to a larger space too, without the hassle of selling your current location. Lower property liability and improved tax benefits: Like renting an apartment or condo, when it comes to many repair and maintenance tasks, your landlord will shoulder the responsibility and costs. The property owner also pays the property insurance and property tax bills. At the same time, you might be able to deduct your lease payments from your business taxes. Consult your accountant or financial advisor to make sure. Our friendly real estate consultants welcome you to the community of Richmond and its vibrant commercial network. RE/MAX Commercial Advantage has the backing of current technology and extensive real estate listings, but we also take the time to understand your business goals and treat you like a local family member. With the training you expect from a global leader in real estate and direct experience with the best properties in the area, our agents and brokers work to your advantage in negotiating a commercial lease in the Richmond market. Contact us with your questions and to book an appointment.